Screen Rant reports that “Mindhunter,” a new series produced David Fincher, is due to drop on Netflex in October on Friday 13. 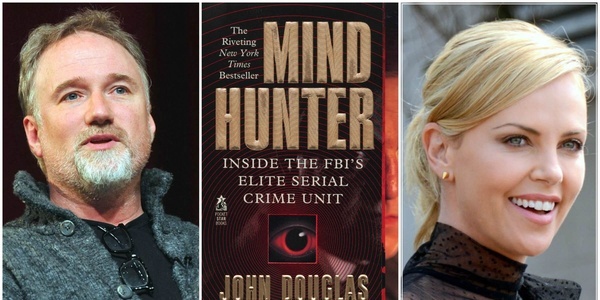 The series is based on “Mind Hunter: Inside FBI’s Elite Serial Crime Unit” by Mark Olshaker and John Douglas, an FBI special agent who developed the behavioral science techniques that has helped the Bureau catch some of the most notorious serial killers of modern times. Jonathon Groff will play Special Agent Holden Ford, a character based on Douglas. Holt McCallany will play Special Agent Bill Tench, based on Robert K. Ressler, who is also credited with developing psychological profiling techniques. Ressler also coined the term “serial killer.” Anna Torv plays Wendy, a psychologist based on Dr. Ann Wolbert Burgess who helped to develop therapies for the treatment of victims of abuse and torture. “Mindhunter” will be set in 1979, during which Agents Ford and Tench interview imprisoned serial killers as a way to develop profiling techniques and thus help to solve ongoing cases. The book provides a great deal of material, as the two real agents interviewed such infamous mass murderers as Charles Manson, Ted Bundy, and a man named Ed Gein, who dressed himself in the peeled skin of his victims. Gein was apparently the basis of the killer in “Silence of the Lambs” called “Buffalo Bill.” Another character in that book and subsequent movie that starred Jodie Foster and Anthony Hopkins, Jack Crawford, was also based on John Douglas. Serial killer movies and TV shows have become their own subgenre. Part of the reason is that people who murder several people, sometimes in creative ways, almost always because of an innate psychological dysfunction, hold a perverse fascination with audiences. Almost as fascinating are the FBI agents who pursue these deranged killers. The psychological profiling technique involves the law enforcement officer so understanding the motives and drives of the killer that they must all but assume those qualities. The psychological toll is often immense. Besides the already-mentioned “Silence of the Lambs” and its sequels and prequels, the long-running network series “Criminal Minds” depicts the efforts of the FBI’s behavioral analysis unit to bring serial killers to justice. That series, though, is set in modern times. “Mindhunter” depicts how profiling first came to be.